Many people are surprised to learn what counts as a drink. In the United States, a "standard" drink is any drink that contains about 0.6 fluid ounces or 14 grams of "pure" alcohol. Although the drinks pictured here are different sizes, each contains approximately the same amount of alcohol and counts as a single standard drink. This survey outlines current youth substance abuse rates for the entire state of Florida. It also draws the comparison between state-level data and Hillsborough County. Ask, Listen, Learn: Kids and Alcohol Don’t Mix empowers kids to say “YES” to a healthy lifestyle and “NO” to underage drinking. The Foundation for Advancing Alcohol Responsibility (Responsibility.org), a national not-for-profit dedicated to fighting drunk driving and underage drinking, developed Ask, Listen, Learn alongside a team of educators and organizations specializing in middle school-aged students. This multimedia program continues Responsibility.org’s longstanding commitment to American youth, and provides kids with the necessary tools to make healthy lifestyle choices while also teaching them about the dangers of underage drinking. Ask, Listen, Learn provides youth ages 9-12, their parents and educators with information about the dangers of underage drinking. In 2016, Ask, Listen, Learn launched science-based digital resources – including seven animated videos and lesson plans – that take kids on a journey through the developing brain, teaching them what the brain does, what alcohol does to it, and what that does to you. Teachers and parents can now feel equipped with the facts and tools to have a substantive and powerful conversation about the dangers of underage drinking. “A lot of people my age didn't realize I had a problem. Because I wasn't using certain drugs, because I wasn't drinking early in the morning or doing the 'typical' alcoholic stereotypes,” said Pollard. Discusses skills parents and caregivers can use to prevent illicit drug use among teens. 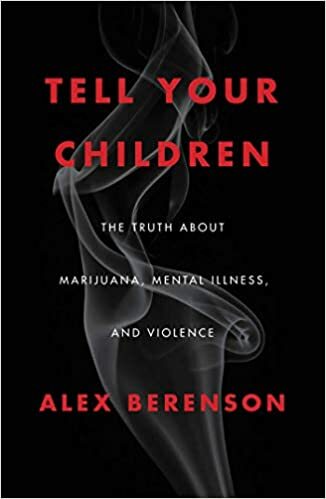 Describes problems caused by marijuana, alcohol, and other substances; signs of drug use; and ways to enforce rules, give advice, and deal with teens caught using drugs. For families struggling with how to address underage drinking, MADD’s Power of Parents High School Handbook and Power of Parents Middle School Handbook give parents the tools to start the conversation, set family rules and enforce consequences; includes free 15-minute online workshops with tips and tools for parents on how to talk with their children about alcohol. Access a wealth of information and downloadable full-text publications for parents, on a range of topics, including addiction science, medical consequences, trends and statistics, and the link between drugs and HIV/AIDS.